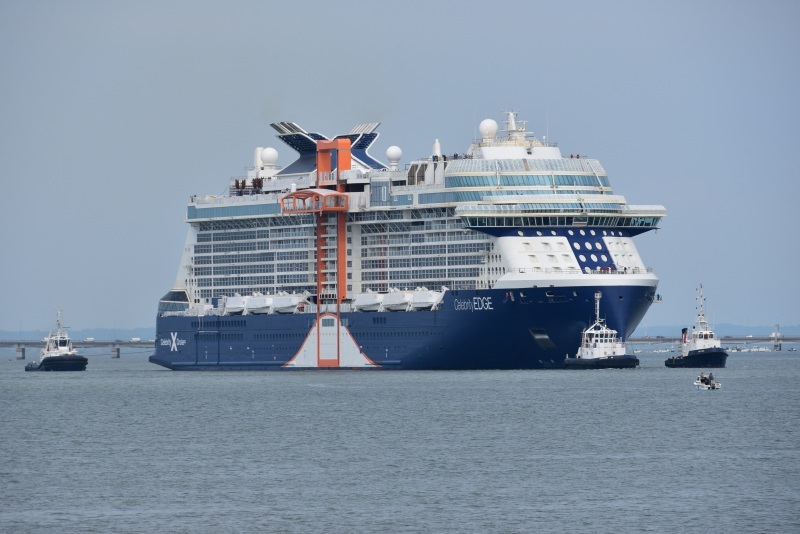 I think it is also interesting that each generation of Celebrity cruises ship has its own pretty unique look! Any innovation possible to lure the cash paying guest.....well done Celebrity ! Interesting innovation, but also will be big headache for Engineering department, for running smooth all this platforms…. Perhaps the most innovative feature cruisers will find on Celebrity Edge will be a moveable deck, dubbed the Magic Carpet. The tennis court-sized deck is cantilevered off the side of the ship and can move up and down, all the way from the bottom, at Deck 2, to the tippy-top on Deck 16. Its function will vary depending on which deck the Magic Carpet has been placed. When stationed on Deck 2, the Magic Carpet will serve as a throughway for passengers getting onto and off of tender boats, as they will be able to walk directly from the ship onto the Magic Carpet and then onto the tender without any need for ramps or unwieldy stairs. This will make it much easier for mobility-challenged cruisers to get between the cruise ship and the tenders. When not in use for tendering, the Magic Carpet will be stationed either on Deck 5 as an alfresco extension to a raw bar restaurant there, or on Deck 14 where it will serve as a location for happy hours and late-night parties. At dinnertime on select nights, the Magic Carpet will become an exclusive, small-capacity restaurant on Deck 16, with meals created using ingredients sourced by the chef in a destination visited during the cruise. At no point will passengers be permitted to "ride" the Magic Carpet when it is moving between decks. This yellow/orange construction on the side; is this an external elevator?